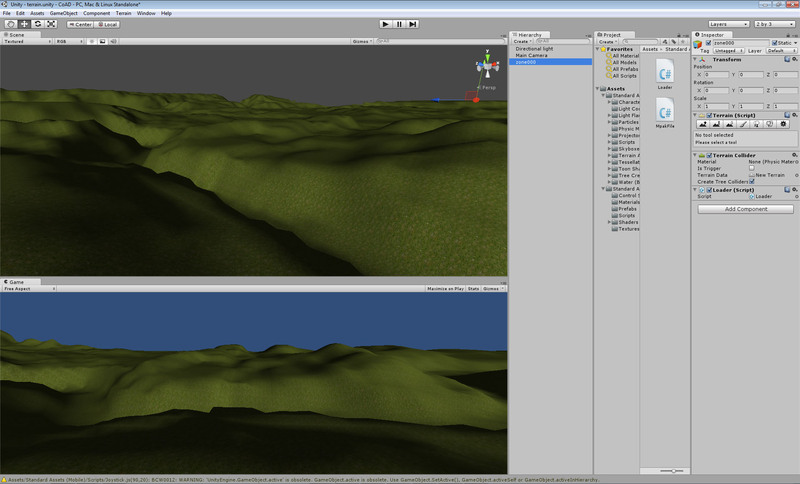 While waiting Camelot Unchained kickstarter to happen I decide to test DAoC terrain in Unity. Terrain heightmap was quite simple to import, but everything else is not simple as Unity does not provide import/export features like CryEngine does with XML import/export. So, I decide to check C# scripting support and try directly load content from DAoC terrain assets, but hitting my head to the wall because Unity (mono) have limited DLL:s in place and I can't uncompress files directly. Though there is way to add extra DLL:s, but this goes bit too extreme already to just for testing :) Also noticed that Unity is that it's able to use asynchronous terrain zone loading like DAoC Gamebryo engine, but sadly this is limited to Pro license only. This looks like a great program.. I don't know much about computers but I'm interested in designing Terrain like this for a game I'm trying to make. I like your videos - very nicely done! If you have the DAOC graphics, please try out my mod to DAOC. The render is not as nice as yours, but I have decoded more of Mythic's internal formats than you have. Nice job as usual, can't wait to see more updates from your incredible work!